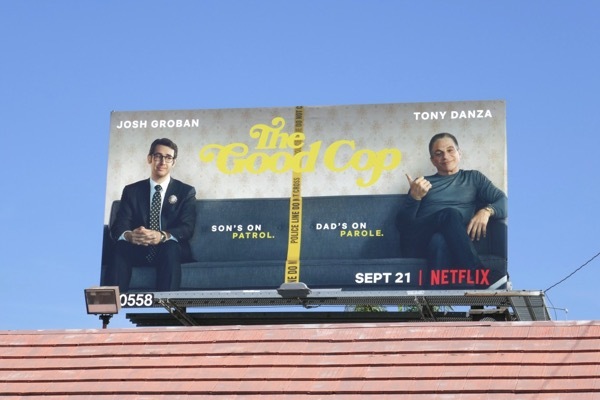 This fall Josh Groban is giving his angelic vocal chords a rest and flexing his acting muscles in the new Netflix odd couple comedy, The Good Cop. 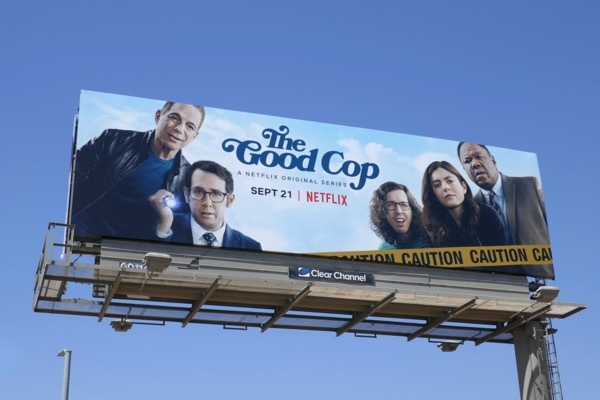 Based on the Israeli comedy procedural of the same name, the show star's the multi-platinum singer as a rule-keeping NYPD detective 'Tony Caruso Jr.', with Taxi's Tony Danza his rule-bending, disgraced former cop father 'Tony Caruso Sr.', just out of prison. 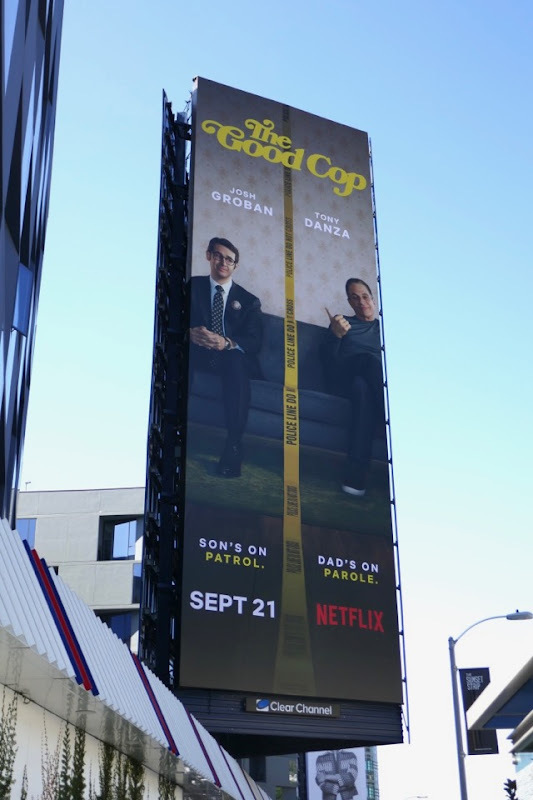 Tony Sr. is a civilian consultant with ties to the underworld who helps his by-the-book son solve crimes alongside Monica Barbaro as Tony Jr.'s police partner. 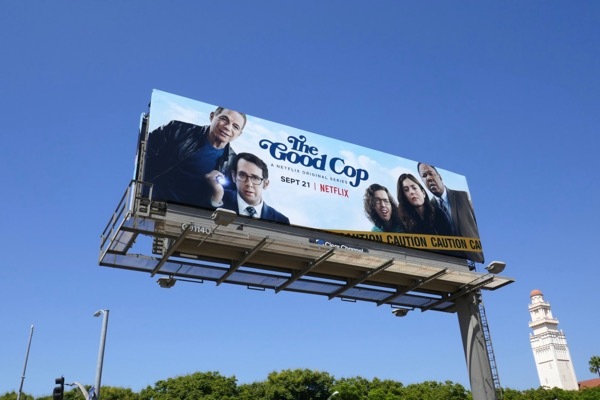 These series launch billboards were spied along the Sunset Strip and Olympic Boulevard on September 7, 2018. 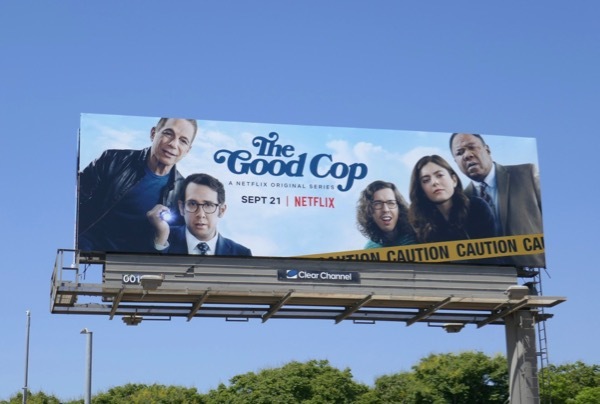 Let's hope this new police whodunit series available to binge-watch, doesn't leave us all asking why did they do it and the show is in fact good. 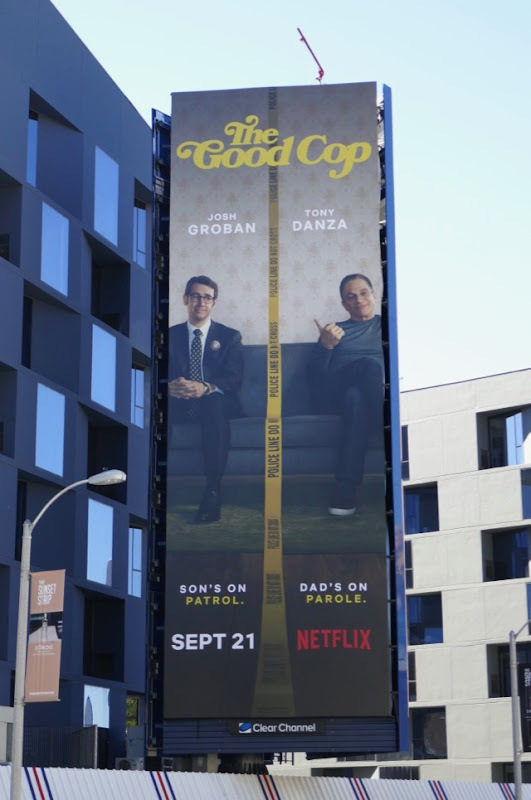 UPDATED: Here's another smaller ad creative for the new series spotted along San Vicente Boulevard on September 26, 2018.